WordPress is becoming popular day by day. Currently 28% websites are powered by WordPress. This popularity of WordPress is due to its user friendly interface and unlimited possibilities using themes and plugins. You can choose WordPress for your photography website confidently. 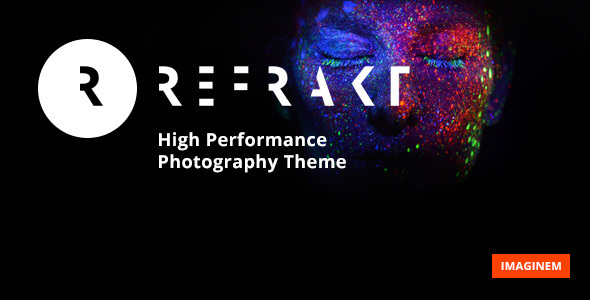 In this post, we are going to share best premium WordPress themes for photographers. These themes have bundle of premium features which worth every penny. Picking the right theme for your photography website is very important. 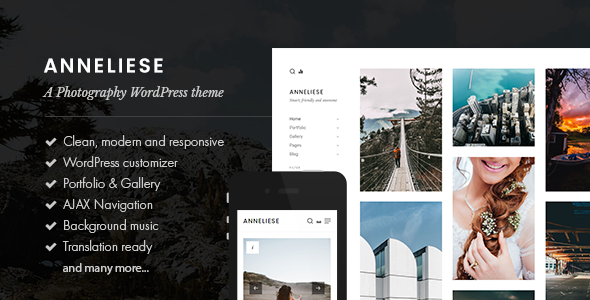 Let have a look on these high quality photography WordPress themes. 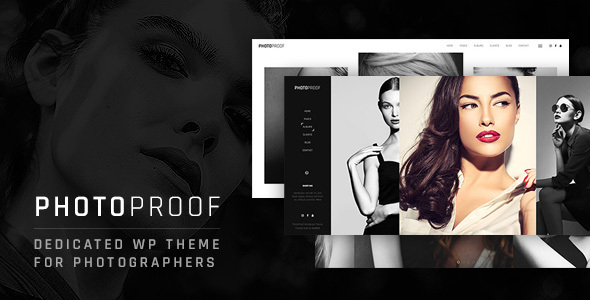 PhotoProof is the responsive WordPress theme for photographers and other creatives to showcase their latest works. PhotoProof offers plenty of excellent options that will satisfy even the most demanding users. Thanks to them, you are able to modify almost every single aspect of the theme without having knowledge about programming. 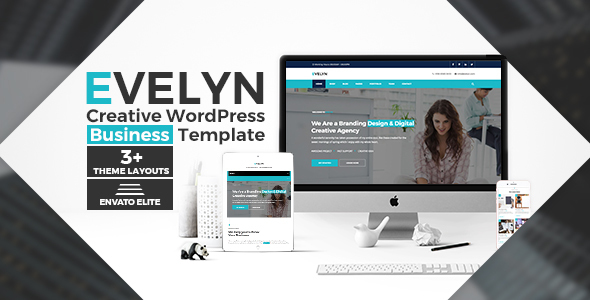 VG Evelyn is a Multipurpose and modern WordPress theme especially designed for business, creative agency, consultancy and finance. VG Evelyn WordPress theme includes three home variations with visual page builder that you can use to build absolutely everything. In addition three different navigation and footer types included. VG Evelyn is E-commerce ready and has all important shop pages. Suits great for business companies, digital agencies, startups, photographers, online stores, webmasters, freelancers, personal portfolio and for landing pages as well. 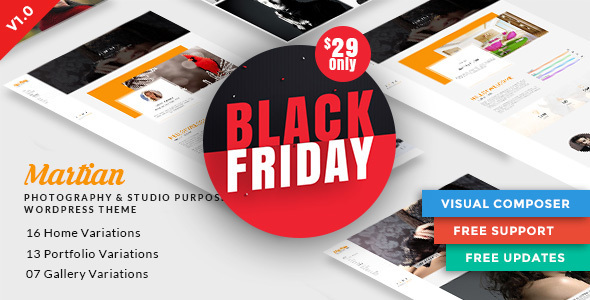 Packed with every premium WordPress plugin you will ever need: Visual Composer, Revolution Slider, Product Carousel, Post Carousel. 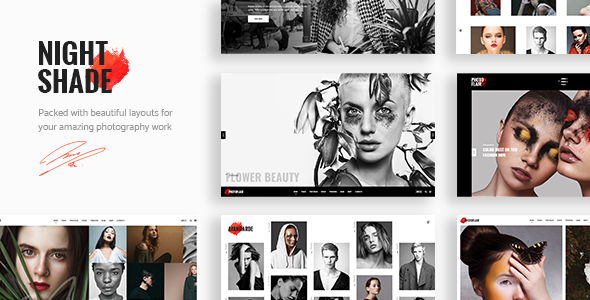 Ssagency is a fully responsive theme, which you can create or manage any websites like model agency, photography, fashions, actors, anchors and singers. User can register & can create any talent profile(like singer, photographer, actors, models, anchors etc…). Registered user can give the ratings based upon his/her performance. Smart talent search functionality is included in which you can search result by age, height, location or you can find the best known talents in your area. 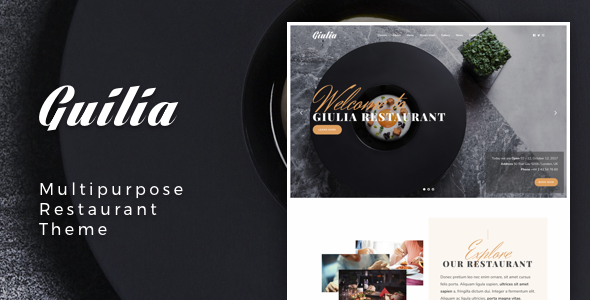 Giulia is a modern theme with traditional flavour, unique & highly functional WordPress theme suitable for any restaurant, cafe, winery, sushi bar, bistro, bar, pub and-and any other food-related businesses. Giulia is proud of its beautiful design. Theme offers all essential restaurant features such as menu, gallery, blog, contact, team and of course an online reservation. Giulia is all you need to get you started on your restaurant website in a matter of minutes! 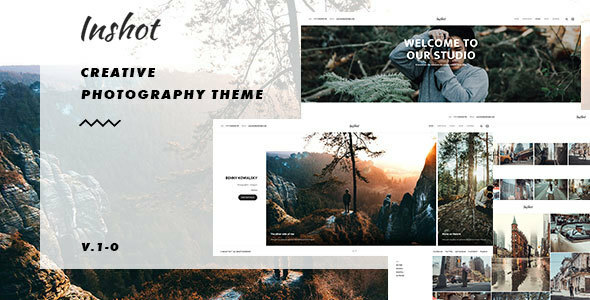 Delict is a minimal and clean WordPress theme for creative professionals such as graphic & web designers, creative agencies, freelancers, photographers, graffiti artists and visual artists in general. This beautiful minimal design is based on fine typography, bold colors and large photography. 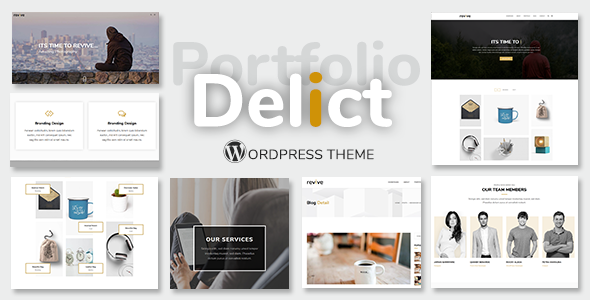 Delict is modern theme comes with well managed theme that you can use to show your works and talents to the world in a unique and elegant way. Delict is suitable and the smart choice for creative designers, developers, and even photographers. Delict is designed based on 1170px Bootstrap grid system. 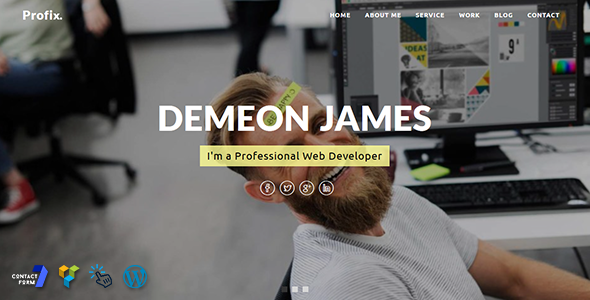 Delict is a clean, bootstrap, modern and minimal Portfolio WordPress theme. It has a wide range of incredible features. Qu comes with 18 awesome and totally different menu/header designs. From vertical, to horizontal, to ribbon and overlay, from scrollable to sticky, and from light to dark, you can completely change the look and feel of your website with these awesome menu designs. Each of these menus is also highly customizable on its own, so the possibilities are endless. Martian is a powerful and original responsive & parallax WordPress theme. Elegant execution of this theme is achieved by the great combination of classy style with refinement. Perfect to promote your work or your porfolio and business. An eye for a detail makes its design perfect to meet needs of creative people, digital agencies and services. 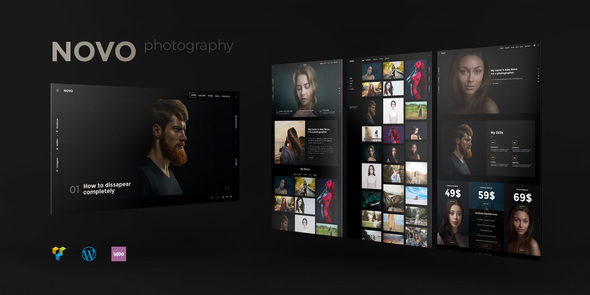 Inshot – Creative Responsive Photography Portfolio WordPress Theme is perfect if you like a clean and modern design. This theme is ideal for designers, photographers and those who need an easy, attractive and effective way to share their work with clients. Author has worked over the typography fundamentally and built in support for adobe typekit in order that your favourite fonts were with you. 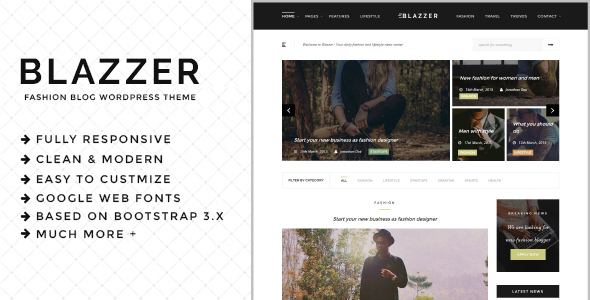 Size, color, font – all this can be changed in our theme. Paragon includes several types of display blog, 4 types of posts, 2 kinds of pages and an unlimited number of portfolios. 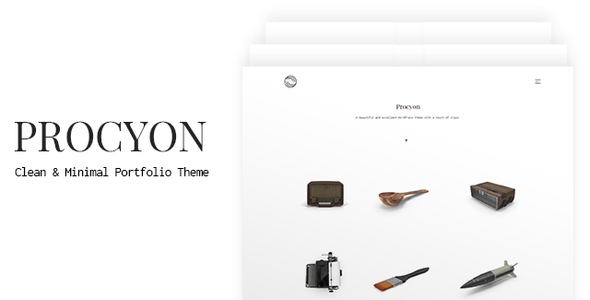 Procyon is an exquisite portfolio theme for WordPress, it was built for designers, photographers, fashion agencies, freelancers and all creative folks. 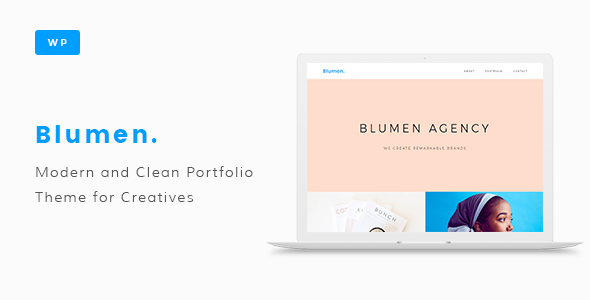 It’s relatively lightweight and easy to use, but still ultra powerful and provides great tools for building any portfolio website. 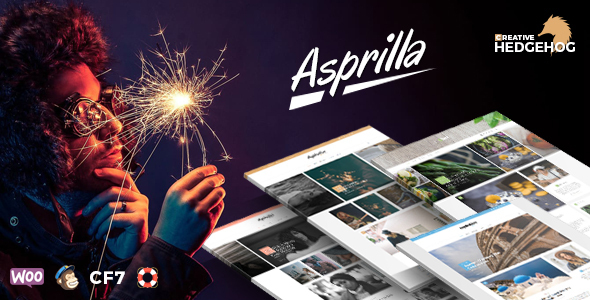 It’s totally new experience and the way to showcase your cool projects. 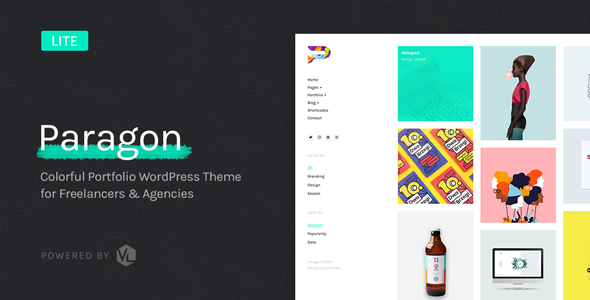 Procyon theme gives you the power to create a unique-looking website with an easy-to-use drag and drop page builder that’s fully responsive, retina-ready, and SEO-optimised. On top of that, Almaak comes equipped with the WooCommerce plugin to help give your business the exposure it needs by opening an online shop. 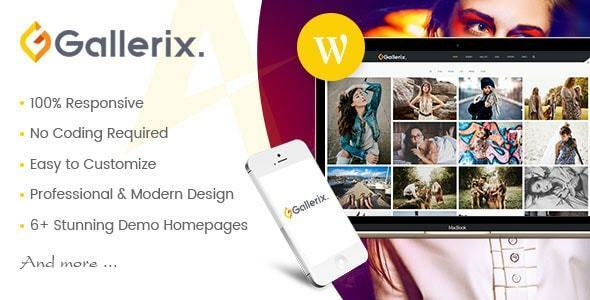 Amy Gallerix theme is a clean and professional WordPress theme for photography, creative portfolio, and blog site. With 6+ stunning demo homepage and various layouts/ effects will make your site attractive and unique. Easy to use and flexible – No coding knowledge required. Versatile and ultimate design can be used for any portfolio, photography, blog websites. The fully responsive design adapts for any screen. Easy to set up the demo content with one click installation. Easy to change the background color. 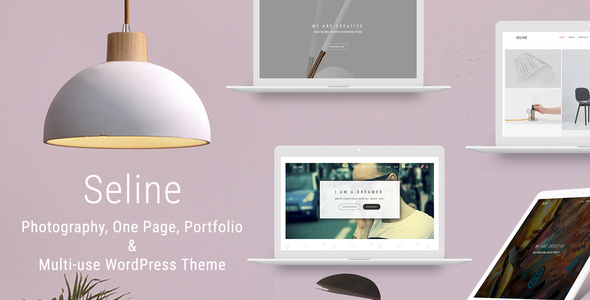 Profix is a Minimal and creative Personal Portfolio WordPress Theme. This theme is a fully responsive layout for all type of devices with super speed site loading. If you are a Designer, Photographer, Developer, Freelancer, Marketer it’s super perfect for you. It’s the best choice to showcase your personal portfolio, resume, CV etc. It’s very easy to customize just follow our video documentation.